" I feel that the HypnoBirthing® programme is so distinctly different from the other childbirth programmes, that its uniqueness guarantees the safety and trust of birthing families in the UK and throughout the world." Who is HypnoBirthing® suitable for? When is the best time to attend classes? The optimum time to start your classes is between 25 and 32 weeks to ensures plenty of time to practise the techniques before your baby's birth. If you do want to start earlier, then book classes to start anytime after your 20 week scan. Each course consists of 5 weekly classes of 2.5 hours. If your pregnancy is 35 weeks or over when you start the course, I am authorised to deliver the programme to you over a single weekend or two separate days. Monday to Thursday Evenings at 7:30pm over 5 weeks - class dates based on availability of group members. Mini-group HypnoBirthing classes can be arranged if you and other pregnant ladies that you know wish to form a separate group on different dates from the group class dates above. As a location for group classes, Rotherham is very accessible from all areas of South Yorkshire (Barnsley, Doncaster and Sheffield) Wakefield, Chesterfield, Worksop and North Nottinghamshire. It has excellent motorway links to both M(1) and A(1). There is an additional travel cost attached to the course fee to cover my travel costs if I travel to your home to teach classes. If you would prefer it or if you live further afield than this and want to do classes privately, we can arrange for me to teach them at my comfortable home or make arrangements on an individual basis. In doing the HypnoBirthing course with me, you also receive, between 12.5 and 15 hours specialist teaching and coaching over 5 classes. See immediately below for details of my ongoing support to you after all classes are completed. In addition a refresher class is also available at an additional cost. This is useful to refresh your knowledge of the programmme in preparation for future births or if you complete the course at an early stage or to give you the opportunity to revisit the main tools and techniques learned during the classes at a time close to your baby's birth. Please contact me for details. You will receive all further support that you feel you need from me when you finish the course right through to your baby's birth. 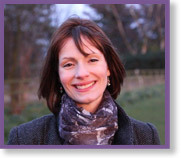 I provide personalised support, guidance and coaching by email or phone. I take the post-course support element of my role very seriously. As a HypnoBirthing® mum myself noone better understands the course materials, how best to teach it and the support needs of HypnoBirthing mums and their partners. Birth Freedom HypnoBirthing® courses are deliberately provided at very reasonable rates to make them affordable to as many expectant mums as possible whilst maintaining the highest quality of both teaching and course materials provided. *Course fees may sometimes be slightly higher to include fuel costs incurred if the mileage travelled by Clare to teach classes at a private or requested group venue is significantly greater than to attend a locally-based venue. Contact Clare to confirm whether this would apply. Course fees should be paid in full by cash or cheque at the start of class 1. To Book a place on the course for you and your partner, please contact me at Birth Freedom→ or use the Sign up for Classes button located near the top of this webpage. I am happy to discuss any particular needs or concerns that you may have, finalise start dates with you and forward a course enrolment form to you for completion prior to the course. PLEASE NOTE: Genuine financial hardship. For anyone serious about doing the HypnoBirthing course who feels they are unable to do so due to genuinely limited financial means - special rates and/or payment methods may be negotiable for group classes. If you feel that this situation applies to you please contact me in total confidence to discuss this further. I am fully committed to equal opportunities and value diversity and inclusion. My aim is to make my classes as accessible to everyone who wants to do them. If you or your birth companion have a special need, including a disability that requires reasonable adjustments to be made to the way that I provide my classes, please contact me in confidence to discuss further. HypnoBirthing® is so much more than just a childbirth or antenatal course. It is a complete birth and parenting preparation and education programme for mums-to-be and their birth partners. I find that often people express surprise at just how comprehensive the course is. It equips mums and their birth partners not only with everything they need to experienmce and enjoy a relaxed, much more comfortable and easier labour and birth but also to enjoy a calm, confident pregnancy while creating a secure, loving and deep bond with their baby both pre-birth and as a newborn. In-depth tuition and coaching on the full range of HypnoBirthing® tools and techniques to support you fully during each stage of labour and birth. In addition, you and your birth partner will view fascinating films of real-life UK HypnoBirths which very importantly, will help to convince you that you, your partner and baby can also have a very positive HypnoBirthing experience.